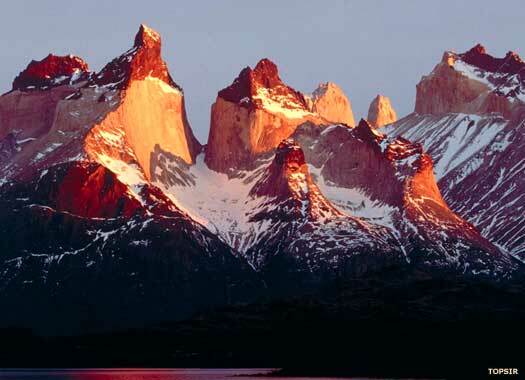 Chile is the long strip of land down the Pacific coast of South America. It was first entered by Spanish conquistadors in 1535, when Diego de Almagro led his men south from Peru in search of gold. Almagro had taken part in the conquest of Peru, during which he had captured amazing wealth. This allowed him to finance a new expedition at great expense, although it proved more difficult than expected to cross the Andes Mountains. Reaching the other side, the territory that would become Chile was claimed for Spain, but Almagro found no gold and the hostility of the natives eventually persuaded him to return to Peru. In 1536 a fresh expedition was led by Pedro de Valdivia, and this followed a different route through the Atacama Desert, and strived harder to establish friendly relations with the natives. An advantageous location was eventually found in the River Mapocho valley. In 1540 the Spanish Realm or Kingdom of Chile was officially created as an administrative division of the viceroyalty of Peru, and administered locally by royal governors. Valdivia founded the capital of Santiago de la Nueva Extremadura on 12 February 1541. Pedro de Valdivia campaigns against the native tribes, who have begun to resist the invaders. While he is away from Santiago, the Michimalonco natives attack the capital and a desperate defence is led by Valdivia's mistress, Ines de Suarez. Although the natives are held off for long enough so that Valdivia can return and push them back, the city is almost entirely destroyed by fire. Rebuilding commences only slowly, and is under permanently armed guard, facing the constant threat of attack from the increasingly organised natives. It is only by 1546 that Valdivia is able to fully pacify the territory surrounding the city. The following year he returns to Peru in search of reinforcements and supplies, leaving Villagra as governor. Returning to Chile, Valdivia campaigns south, facing heavy resistance from the native population. In 1550 he founds Concepcion on land conquered from the Araucanian people, but their will to resist is far from broken. They unite under the leadership of Caupolican and, in 1553, Valdivia is ambushed at the Battle of Tucapel and killed. Second term of office, this time as full governor. The cities of the colony are self-governing during the period in which the position of governor is disputed, as Villagra's governorship is not officially recognised. The Real Audiencia in Peru reaches a settlement. Villagra's arrival by ship for the start of his third term of office also brings with it the smallpox virus. An epidemic grips the Spanish cities in Chile, but it affects the Mapuche natives even worse, wiping out up to a quarter of their entire population. Interim governor for the second time. The Real Audiencia of Chile temporarily governs the colony after removing Quiroga from office while he is campaigning in the south. However, their own choice, Saravia, comes into dispute with them, so he is in turn replaced by Quiroga. Loyola is killed at the Battle of Curalaba in December 1598, when Mapuche people led by Pelantaru surprise the governor and his small force of fifty men, killing most of them. This ends the 'Conquista' period in colonial Chile and greatly encourages the natives to launch a long-prepared general uprising. Over the next few years the Mapuche Revolt sees much of Spanish Chile destroyed by the natives. Began to stabilise Mapuche Revolt but still suffered heavy losses. Second term of office. Died 1610. A force of around 500 Spaniards under Garcia Ramon defeat a Mapuche army of around 6,000 at the Battle of Boroa. Fort San Ignacio de la Redencion is constructed near Boroa but is soon abandoned after most of its garrison is ambushed. The illness and death of Garcia Ramon encourages the Mapuche to rise up again and take advantage of his replacement. Former interim governor. Died 1617. Granted the post but died before he could take office. Became viceroy of Peru (1745). First captain-general (from 1776). Became viceroy of Peru (1780). The southern territories of Peru are incorporated into the new viceroyalty of Rio de la Plata, and this includes Chile, although it loses some provinces in the administrative reshuffle. Became viceroy of Peru (1796). Under Irish-born captain-general, Ambrosio O'Higgins, the captaincy general becomes autonomous and is withdrawn from the control of the viceroyalty of Rio de la Plata. Chile is still relatively unadvanced when compared to Peru. Became viceroy of Peru (1801). First count of the Conquista. Various wars of independence break out across the Spanish Americas, and Peru serves as a centre for the royalist opposition to these revolts. The viceroy, Abascal, reincorporates the provinces of Chile, Cordoba, La Paz and Potosi (the latter two in modern Bolivia), and Quito (part of New Granada). To the east of Chile, Rio de la Plata is lost as the United Provinces of South America are formed. A provisional government of independence is also formed in Chile, initially to reaffirm Spanish rule in the face of the French occupation of Spain, but it eventually sparks the Chilean War of Independence, and Mateo de Toro Zambrano y Ureta is voted its first president, although his early death at the age of eighty-three prevents him playing any role in the war. The remaining captain generals of Chile fight in opposition to the independence government. Died shortly after pneumonia and defeated in battle. The Spanish government makes its first attempt to reconquer Chile, sending an expedition south from Peru. Things don't go entirely their way, with the Chilean forces under Jose Miguel Carrera and Bernado O'Higgins managing to hold their own in a series of small battles and sieges. A fresh Spanish attack which ignores the treaty of 1814 surprises the Chilean forces and sweeps them into Argentina, where they remain for three years while the Royalists take control of Chile. Later first president of Central America (1821). 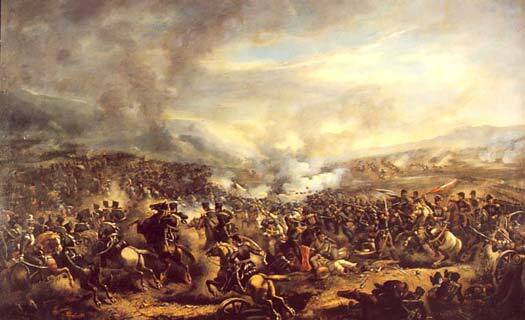 Defeated at the Battle of Chacabuco. Bernado O'Higgins returns with Argentine support and manages to begin to secure Chile for the republic with a strong victory at the Battle of Chacabuco. Mariano Osorio is victorious at the Second Battle of Cancha Rayada on 18 March 1818 while O'Higgins is injured in the arm. However, the Battle of Maipu on 5 April is a disaster for the Spanish, ending any hopes of reconquering Chile. Located in South America, the long coastal strip of territory which forms Chile lies between the southern Andes and the Pacific Ocean. It borders Peru and Bolivia to the north, and Argentina to the east. 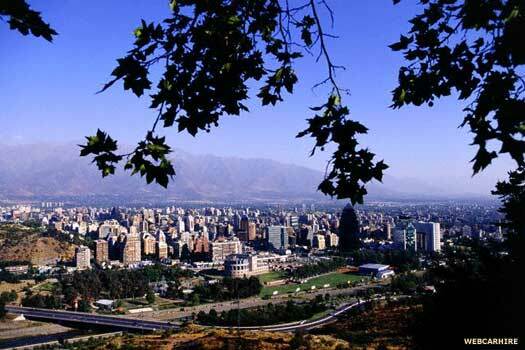 Its capital is Santiago, located in the upper central region of the country. During its drive towards independence during the wars of the early nineteenth century, Chile's rebel forces were led by Jose de San Martin and Bernardo O'Higgins, the colourful illegitimate Irish-Spanish son of a former captain-general of Chile. He grew up in Chile but completed his studies in England, and returned to Chile to become a gentleman farmer on his late father's lands. When the country began its path towards independence, he joined the anti-Royalist faction in an increasingly influential role. The provisional government of Chile manages the organisation and defence of the country in the face of Spanish attacks from Peru. In 1814, the junta is disposed of by Francisco de la Lastra on 14 March 1814 and he is overthrown by Jose Miguel Carrera on 23 July 1814, who is opposed by Bernado O'Higgins, albeit ineffectually. Leader, Chilean provisional republic. Executed by O'Higgins, 1821. A fresh Spanish attack which ignores the treaty they had signed that very year surprises the Chilean forces and sweeps them into Argentina, where they remain for three years while the Royalists take control of the country. In 1817, O'Higgins returns with Argentine support and manages to secure Chile for the republic with a strong victory at the Battle of Chacabuco, a defeat at the Second Battle of Cancha Rayada in 1818, and a final victory at the Battle of Maipu. First supreme dictator of Chile but declined to take power. Son of captain-general, Ambrosio O'Higgins. Second dictator. The Spanish vice-regents in Peru are defeated and agree to leave Peruvian territories by 1824, ending the Spanish fight to retain its South American colonies. In Chile, O'Higgins oversees a successful and productive start to the republic, but later differences of opinion and increasing alienation of the landowners see him removed in a coup. President of the interim governing junta. Dictator and former supporter of O'Higgins. Resigned. Admiral and self-titled 'president of the republic'. Restored by a revolution. Confirmed as president and resigned. With the establishment of a presidential style of government in 1827, Freire's resignation allows a new president to be freely elected in the form of Francisco Antonio Pinto, who promptly resigns just two weeks after being elected. Nevertheless, the system remains in place for almost all of Chile's subsequent history. The dictator of Peru is defeated and executed by Bolivian forces which invade the country. The subsequent Peruvian-Bolivian Confederation creates tension between it and Chile and this leads to the latter declaring war on 28 December 1836. Chile's ally, the Argentine confederation, follows suit on 9 May 1837. Eventual defeat for Bolivia comes in 1839. Chile is victorious against Bolivia and Peru in the War of the Pacific, gaining the provinces of Arica and Tarapaca. Unlike many of its neighbours in the Americas, Chile remains neutral during the First World War against Germany and the Austro-Hungarian empire. The resignation of the president, Juan Esteban Montero, forces the creation of a military junta which elects General Arturo Puga Osorio to lead it. A new president is democratically elected and governs the republic from 13 September 1932. President of the government junta, 4-16 Jun. President of the government junta, 16 Jun-8 Jul. Chile joins the Second World War as an ally of the USA and Great Britain on 11 April 1945 against Japan and Germany. A US-backed coup which is led by Augusto Pinochet, commander-in-chief of the Chilean army, deposes the democratically-elected president on 11 September 1973. The former president, Salvador Allende, dies the same night, apparently by his own hand. A military junta which is headed by Pinochet elects him as 'president', although in reality he is a military dictator who governs by means of mass incarcerations and unexplained deaths and disappearances. After the occupation by Argentina of the Falkland Islands, Peru promises support while Chile sides with Britain. Pinochet steps down voluntarily and peacefully after voting himself immunity from prosecution. He remains commander-in-chief of the army until 1998, while Chile's republic is restored.